I have been so enjoying the eye candy over on Pinterest. Please visit my boards for inspiration. Here is a peek for RED. 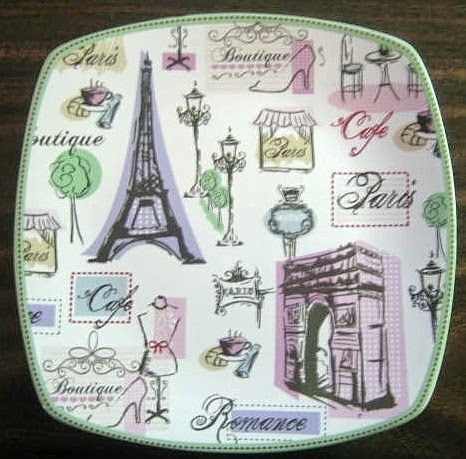 French or Paris motifs are romantic and add fun to your decor without leaving home. 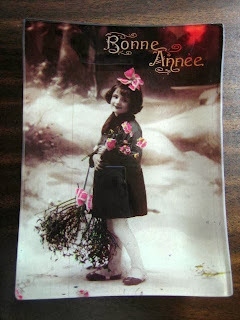 First we have a decorative plate with a party girl with fun French script. What will she do today? 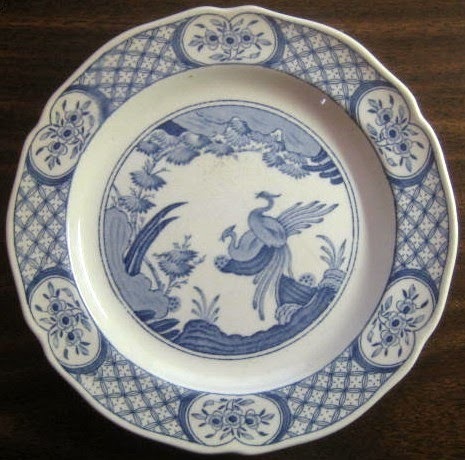 Decorating with Bird Plates ~ Timeless motif that is bright and cheery. It is surprising how popular and classic bird motifs are in decorating. I see a bird theme on dishes from all ages and styles. Bird designs are uplifting and make our spirits "fly". Most the plates in my boutique www.DecorativeDishes.net are ceramic or porcelain, but I can't resist when I find a beautiful glass plate. They are so jewel like with such lush colors. Glass tile or mosaics are very expensive, but you can dress up a room with a beautiful glass plate for a very reasonable cost. Visit www.DecorativeDishes.net for lovely glass plates for wall, cabinet, or shelf decor. Italian decorative dishes and plates are fun to add to your decor because they are colorful, warm, vibrant, and often hand painted in a carefree style. Shop www.DecorativeDishes.net online boutique for a nice selection of Italian Decorative Dishes as well as many other styles. In studying the history of a family primitive homestead painting ca.1775, I ran across a charming remembrance of my 4 x Great-grandmother, Hannah Brown Skinner, of the pioneer journey her family took in migrating from Bucks County, PA to found the town of Brownville, NY in 1799. "Mrs. SKINNER thinks now, that she never felt so rich in the acquisition of any other article of household furniture whatever, as she did when she had persuaded her father to make a couple of rude shelves for dishes, by driving wooden pins into auger holes made for the purpose, in the logs, on the inside of their house, and placing rough hewed shelves upon them. Her crockery was now arranged in order, after the most approved notion of good taste, instead of being huddled together in some corner of the room, or shut in one of the pine board chests which had served as packing boxes for their "plunder"." Here are some pictures of a kitchen of this period from the Paddock Museum in Watertown, NY . 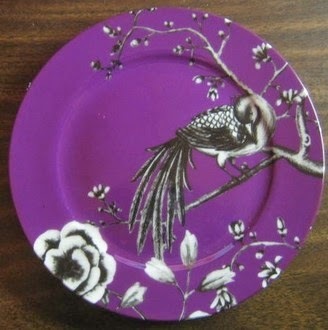 Shop by color at DecorativeDishes.net to find just the right decorative plate or dish for you room's decor.